add your C&J HONDA here..with the modifications that have been done. Good Start Davy. With your parts list and using the Honda wheels and the big SuperTrapp muffler I would guess that you are closer to 240lbs. with oil but without any gas. You can get damned close to the right weight with a simple bathroom scale if you weigh one wheel at a time and add them together. It makes it a little more accurate if you roll the non-scale wheel onto a 2x4 board or such to make the bike more level. 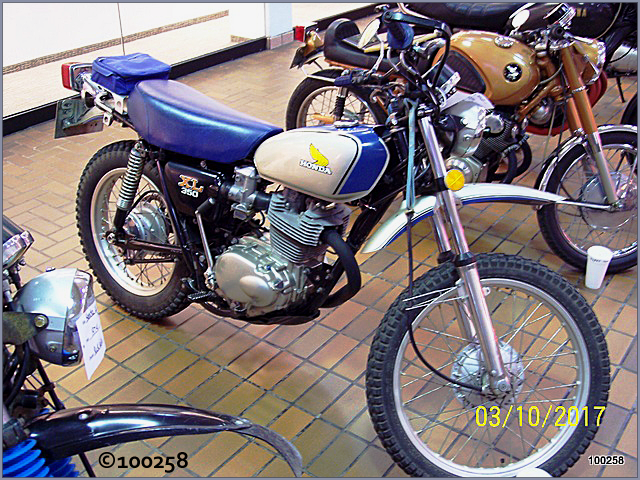 I weighed a brand new build C&J XL350/403 similar to yours back in the day on a Dealer showroom floor at 249lbs. 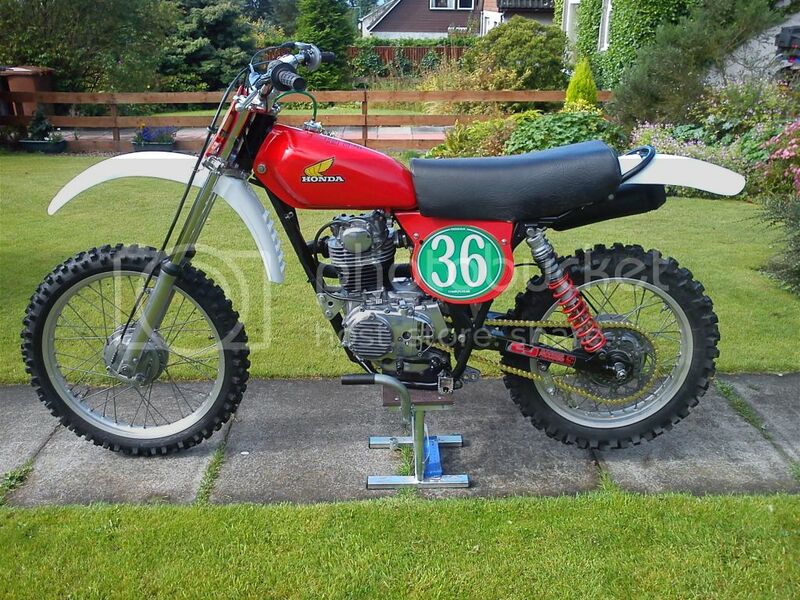 without gas and with the lighter CR250 non-cush rear wheel. But yours is actually a 250 engine which weigh several lbs. less than the 350 so about 240lbs. should be close. Grab the wife's bathroom scale and check it out! She won't mind!!! wieghed c&j today ..246.4 lbs..
Next a 412cc bike similar to above. Replica frame. nice...when are you going to race them ! Just finished work now, I will race them when I manage to get 48 hours in every week day and 72 at the weekend!! !